Stormrider play traditional Heavy Metal, combining influences of 80s US Metal and the NWOBHM to a unique mixture. Their style is shaped by the characteristic twin guitar work as well as the incomparable voice of singer Stefan. The band was founded in 2001 by Stefan Hebes (v), Ingo Rieger (g) and Stefan Lange (d) and was completed by Jan Gerbracht (g) and Sven Carsten (b) in the following months. In 2003 the self-produced mini album VENGEANCE was released, followed by the first full length album SHIPWRECKED, which was published by Underground Symphony in 2005. Meanwhile Daniel Woyke had taken over the Bass from Sven Carsten. The second album FATE OF THE HUNTER was released in 2008 by Pure Steel Records, consequently maintaining the style of the debut album. In early 2009 drummer Stefan Lange and Stormrider went separate ways. The band took an extensive break, which was used to prepare the third album THE PATH OF SALVATION. 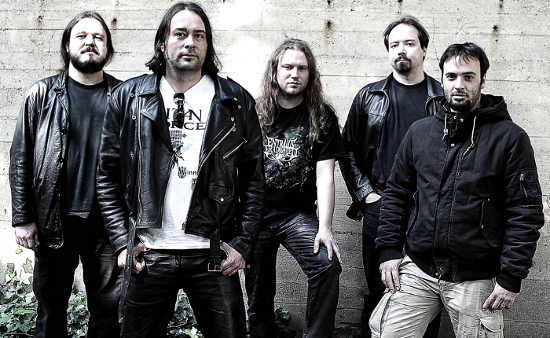 The recordings began in late 2011, when the drum tracks were done by former Blind Guardian drummer Thomen Stauch. The album is about to be released in October 2012. The line-up was completed again by Tim Nestler in early 2012.